Mercer University challenges students to ask difficult questions, put action to their ideas, and make the world a better place. We push the boundaries and never settle for the status quo. Have a creative business idea? Bring it to life in our Innovation Center. Passionate about serving others? Then volunteer in the local community. Why wait four years to make an impact? At Mercer University, your time is now. According to U.S. News & World Report, Mercer ranks among the “Best Value Schools” in the nation, and The Princeton Review has included Mercer in its annual Best Colleges guide for 16 consecutive years. And with a history of more than 180 years, Mercer University prepares students to seek lives of meaning and purpose—finding fulfillment in their work and making a difference in their communities. Choose from more than 65 undergraduate majors, and if you’re interested in a graduate or professional program, select a pre-professional track to work with an advisor who will help you prepare for that next step. 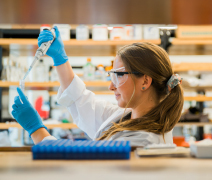 As an added bonus, you could be eligible for one of Mercer’s Special Consideration Programs for admission to graduate school in Business, Law, Medicine, Nursing, Pharmacy, Physical Therapy, or Physician Assistant Studies. 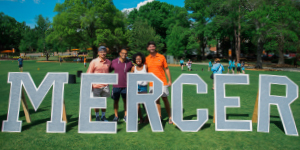 As a student at Mercer, you’ll get personal attention from your professors and quickly build a community among your peers on campus. With 140 student organizations, you’re sure to find a way to get involved. Run for office in student government, join an intramural team, or turn your interest into a new campus organization. A culture of service learning permeates the Mercer experience, and we encourage students to use their education to improve the world around them. More than any other program, Mercer On Mission epitomizes our commitment to meet the needs of humanity. This distinctive opportunity combines service and study abroad in a life-changing experience for students. 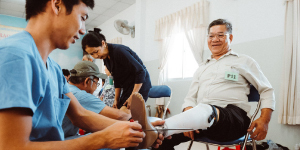 When you fit an amputee in Vietnam with a custom prosthetic or install a water purification system to provide drinking water for a sub-Saharan village in Africa, you’ll understand what it means to be a Mercerian. There’s no other feeling like standing as one among a sea of orange and black with the game on the line. The Mercer Bears compete in 18 men’s and women’s NCAA Division I sports as members of the historic Southern Conference, so you’ll have something to cheer about all year long. And our student-athletes are just as successful in the classroom as they are under the lights. In fact, for three straight years, the Mercer Bears have won the Barrett-Bonner Award, placing the highest percentage of student-athletes on the Southern Conference academic honor roll. Located in the heart of Georgia, Macon provides a community where Bears can flourish. Whether you think it’s a big city or a small town, we say it’s just right and believe you’ll agree. With a thriving downtown scene, beautiful public parks, and iconic historical landmarks, Macon offers a little something for everyone. Do you have what it takes to Be the Bear? Find more details about Mercer, schedule your visit to Bear Territory, and apply through the Mercer application or the Common Application at undergrad.mercer.edu.